A rural health leader is urging the government to provide equitable funding for people in country areas struggling with mental health and addiction issues. 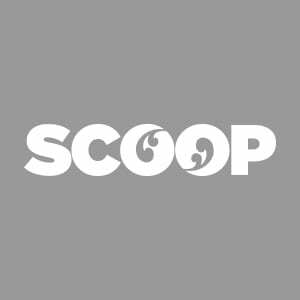 Over the last decade the annual rural suicide rate per 100,000 people is on average 20 to 50 percent higher than the urban suicide rate, Rural Health Alliance Aotearoa New Zealand (RHAANZ) chief executive Michelle Thompson says. When the rural rate reaches 50 percent higher than in cities, the Ministry of Health deem it statistically significant, Thompson says. She made the comments in Wellington today to coincide with the latest farm-related suicide research report conducted by Dr Annette Beautrais for RHAANZ, funded by AgResearch. “When that happens we sometimes see a flurry of response or activity from the government. Trouble is you can’t turn suicide prevention activities on and off according to statistics. You need to be proactive and continually build mental resilience within communities,” Thompson says. “When we ask the ministry what they know about the rural people who took their lives they can’t tell us anything about who they are, which town they came from or what work they did. “All they can tell us is that the region they came from is deemed rural using NZ Statistics classification. No other department regularly uses rural-urban classification and the suicide statistics released by the ministry is the only time they use the classification. In comparison, the Coroner’s Office cannot report by this classification at all. “The new definition of rurality that we’re pushing for removes 300,000 people from urban areas that should be rural and removes 100,000 people from rural that should be urban. The net impact is that an extra 200,000 people are deemed rural in terms of where they access their health care. “When these people are added in, the differential in suicide rates urban versus rural and other major health markers are likely to be statistically significant. The Coroner does record farming as a profession because some years ago the chief coroner became particularly worried about this group and wanted to start tracking it. The latest research report by Dr Beautrais is quite ground breaking as it is the first in-depth study into farm related suicides in New Zealand and in many respects the world, Thompson says. The report says that farm suicides tend to be young labourers not farm owners. Suicide prevention programmes need to be targeted to this group and include workplace health and safety, suicide prevention education, alcohol and drug education, resiliency and life skills building programmes, and gatekeeper training programmes for farm employers, managers and rural communities and service providers. Improved rural mental health in general would be expected to have its own impact on reducing suicide. This is being addressed in another project between RHAANZ and the Ministry of Health to create a framework to improve rural mental health and addiction outcomes, which was also launched at the national rural health conference in Wellington today.